After breakfast at Saul's this morning, I stopped in at Long's Drugs, nearby, to pick up a fan. It's still cool in Berkeley, it's only April after all, and the Bay Area never gets all that hot, nothing like the south or the east, so houses here don't have air conditioning. But we will have a few days of 100-degree heat, and on days like that you must have a fan. Last summer I got there too late, they were already sold out, so this year I resolved to get there early. They had a good selection, and I was able to get the kind of fan I like. $20. Another item off the to-do list. While walking through the aisles, looking for other things, batteries, soap, I overheard a conversation between two store clerks. What were they talking about? Imus, and how he had been kicked off MSNBC, and they expected he'd be kicked off CBS too, and he was getting what he deserved. It was amazing how much they had to say about it, and how what they said exactly mirrored what was being said on the cable news. In the NY Times they say he got caught in the 24 hour news cycle, he never had a chance. We witnessed something that looked to me a lot like the Kathy Sierra storm that swept the blogosphere a few weeks ago. I knew Imus like I knew the people who were being hunted in blogland. I liked to listen to his show in the 70s, he was fresh and different, irreverent, interesting. I feel sorry for Imus, and I think it's sad that he's going out this way. I hadn't listened to him in many years, but I haven't forgotten how the young version of me saw him as a role model. At the same point in my life that Imus made me laugh, so did Kurt Vonnegut. I loved his books when I was young, and I made a point, four years ago, to re-read most of his books, so I've got an updated appreciation for how wonderful they are. And they were made more important for me because I shared his writing with my uncle, who had (I felt) a similar sense of humor, of irony. Like many others of my generation, Vonnegut formed my perspective on the world, on mysticism, and politics, on the smallness of everything we care about. If you've read Sirens of Titan, my favorite Vonnegut book, you know what I'm talking about. No spoilers here! And while I shared Vonnegut with my uncle, I shared Imus with my younger brother. He was in NY, where Imus was broadcasting; he'd record cassettes and mail them to me in New Orleans, where I was in school. Getting a tape of Imus was like getting a bag of fresh bagels or a Sunday NY Times. Love from home. I hope Imus finds something satisfying to fill his remaining time. Maybe he'll become a podcaster or a blogger. It's smaller than being a radio star, and we have witch hunts here too, but here they can't shut you down for being rude. At least not yet! On March 27, Michael Risch, a partner at Russo & Hale, filed a motion to reconsider a ruling that denied them the right to represent UserLand shareholders in an action against me. We filed a motion today to deny their motion. "Counsel's mistaken view of the law regarding shareholder actions, which they display again in this Motion, is not a proper basis for granting a motion for reconsideration." I now have my sitemaps implemented for scripting.com. There's a sitemapindex file, that points to all the sitemaps. By design, some never change; others change frequently. I've added the auto-discovery link in robots.txt. There's a lot of room for optimization, for sure. I followed the instructions for pinging the search engines, I tried Yahoo, Google, Ask and Microsoft; and none of them acknowledged that they accepted the ping, in fact they all returned cryptic error pages. Not a good omen! I think I understand AppleTV, after setting it up, playing a few video podcasts, copying some pictures into its screen saver, and reading about its limits on various weblogs. I'll give you the punchline before the details. If you're technically proficient enough to read this blog, AppleTV is not for you. I'm not sure who it is for, but you don't need it. You're much better served buying a Mac Mini, or the equivalent Windows box (maybe a cheap laptop). AppleTV is an exercise, for me, in discovering what it won't do. Most important to me is that it won't play the AVI files I create when I scan DVDs using Handbrake. On the other hand, my Mac Mini, with VLC installed, does. Yes yes, I know I can hack up my AppleTV to get it to be a Mac Mini, but I'm lazy, and I've already paid Apple for the Mac Mini. And why do I need synchronization with iTunes, when file sharing works so well on the Mac? It's pretty easy, I don't think AppleTV's syching is any easier. True, the Mac Mini costs at least $599, and AppleTV is $299. Anyway, I don't like AppleTV, but I have a TV in the kitchen that didn't have a computer, and I spend a lot of time working there, so I will keep trying to find something useful that it does that the Mac Mini doesn't already do much better. Etienne Deleflie: "Why doesn't someone come up with a Linux box that just hosts VLAN?" Earl Moore says I miss the point of AppleTV. "I could turn a 5-6 year old loose with the Apple TV and they could watch cartoons or movies galore without assistance." Adam Curry wonders if the legal difficulties we're having around UserLand are the source of some technical problems with his RSS feed, which is hosted on a UserLand server. As far as I know, there is no connection. I don't work at UserLand, haven't worked there in almost five years, so any problems I have are not likely to effect your RSS feed. But you never know, Murphy works in strange ways. I suggest sending an email to Lawrence, in the meantime. Scott Rosenberg has taken a hiatus from writing political essays, but he just published another great one, about why we should pay close attention to the coverup of the firing of the nine US attorneys. Whether the President was a Republic or Democrat, makes no difference, if the US attorneys were fired to subvert with the election process, it's a scandal of huge proportion, that undermines the fairness of the US justice system. What many don't know, and it is not widely reported, that if this is a replay of Watergate, then the role of Woodward and Bernstein is being played by a community of bloggers, Talking Point Memo, founded by Joshua Marshall, who was at the first BloggerCon, and who will be at the Personal Democracy Forum in mid-May in NY (I will be there too). When I see him, I hope to shake his hand, thank him and congratulate him. Meanwhile I read in the Guardian, yet another conflicted and self-serving piece from a MSM publication, saying that blogs didn't turn out to be such a big deal after all. If someone were to ask me what the future of blogging holds (and I am asked that frequently) I would say that in the future, mainstream press people will give up their fight with blogging and accept us as sources of information and perspective that enriches what they do, instead of being in conflict with it. To me blogging is not just protected under the First Amendment of the US Constitution, it is also an instance of the Second, the right of the people to keep and bear arms. When the justice system is corrupted by the executive, we have the right and responsibility to reform it, with words, and with actions, as Marshall and his crew are doing so admirably, so Americanly (if that's a word). We were meant to have an active and armed citizenry in the US. As long as people like the TPM community feel empowered, we have a chance of keeping our intellectual life rich and informed. Keep up the great work, it's important, and appreciated! "I don't mind anonymous comments if you have something worthwhile to say. If you don't have anything worthwhile to say, I won't approve your comment even if you do put your name on it. (And sometimes even worthwhile comments that aren't quite relevant or that speak more to other commenters than what I've written don't get approved. People can start their own blog and say whatever they want and no matter how many happy badges I put on my blog, I can't do anything about that.)" The main difference in the way I do it, is that like many others, I use the Wordpress feature that requires a commenter to be approved the first time he or she comments using a specific mail address. It seems to work pretty well. If someone abuses the priviledge there are easy ways to deauthorize them. For the most part, these days, the comments here are fairly productive, abuse is not allowed, strong opinions are allowed, even strong opinions that disagree with mine, as long as they're on-topic, and not personal. I see the comments space as largely belonging to the readers, and I don't comment there myself too frequently. However I will respond to a direct question if I have something to say and feel it would add to the discussion. 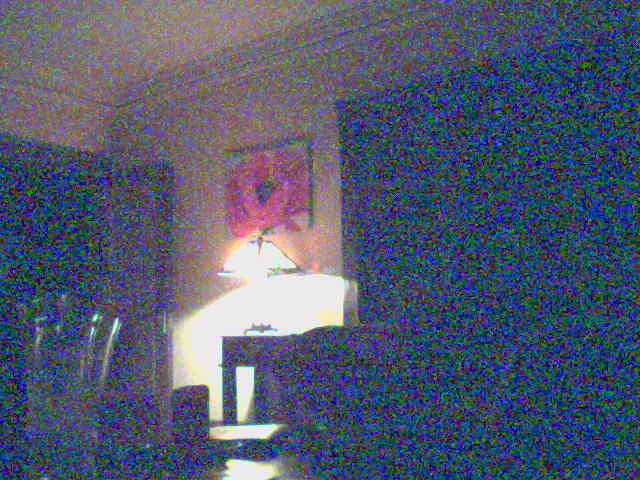 Last update: Thursday, April 12, 2007 at 9:59 PM Pacific.